HeadstARTS, weekly dance, drama and art classes for people with intellectual disabilities which was established 5 years ago in DCU. 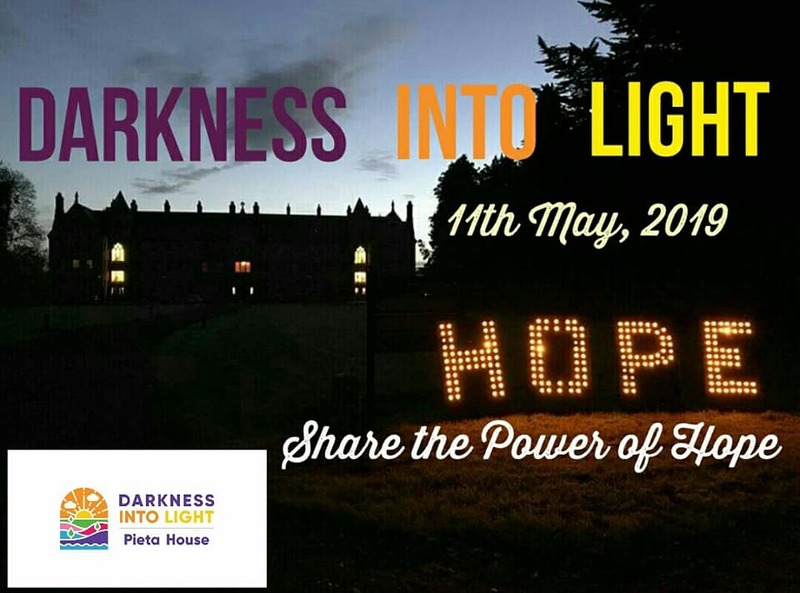 Enactus DCU Social Enterprise Society that sets up socially, environmentally and economically sustainable businesses that empower disenfranchised groups in society to improve their livelihoods. HeadstARTS was originally a project set up by Enactus DCU, but with HeadstARTS amazing success and popularity it has now become a separate entity and is now franchising across the country. 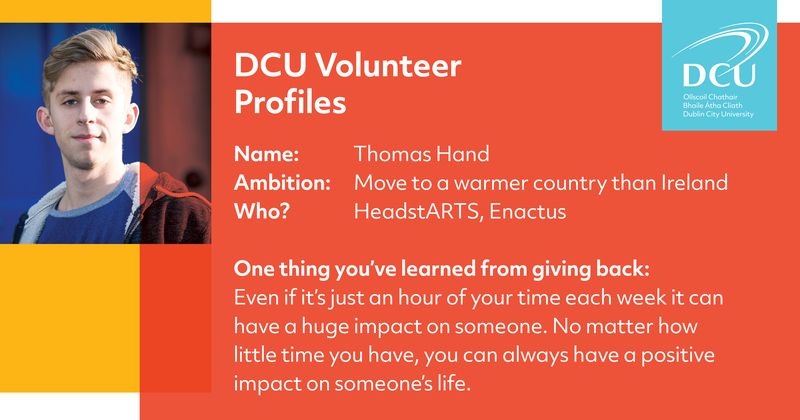 I joined Enactus last year and got onto the committee, that’s when I started volunteering at HeadstARTS. I heard about Enactus at an orientation talk in the Helix and knew I had to join it. I loved the idea of helping people as well as getting first-hand experience of setting up enterprises. Everyone on the Enactus committee last year encouraged me to go to HeadstARTS, telling me that I’d never leave the classes without a big smile on my face. I went to my first class and had so much fun. Enactus had both the human and business side to it. I love dealing with people and as a business student it was ideal for me. Dancing to ‘Wagon Wheel’ six times in one HeadstARTS dance class. For Enactus, it has to be representing DCU and Ireland at the Enactus World Cup in London this year. Getting into the top 16 universities in the world was a great feeling. Even if it’s just an hour of your time each week it can have a huge impact on someone. No matter how little time you have, you can always have a positive impact on someone’s life.